Ann Forrest December 20, 2017 Comments Off on Last Minute Shopping? Still haven’t found the right gift for your family member, friend, trainer, or other favorite rider? Don’t panic! 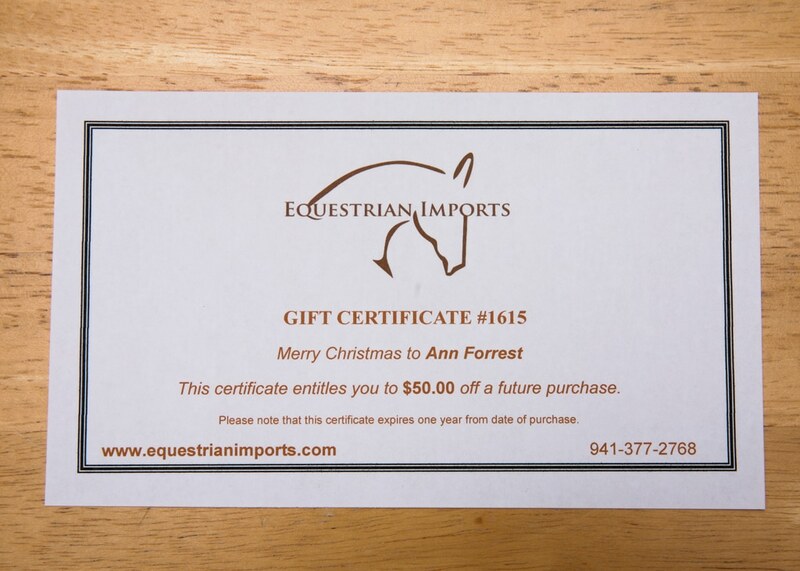 Order online or call us at 800-246-7737 before 4pm ET on December 22 and we will email a personalized gift certificate. Click here for more information.